Remember when I wrote a guest post for Brandy over at Nutmeg Nanny? Well, I am so happy to have her here today to return the favor. And what she made looks delicious and perfect for a warm summer day. Thanks Brandy! Hi everyone! I’m Brandy from the food blog Nutmeg Nanny. I’m so excited to be guest posting for Rachel today. 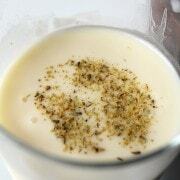 In a large bowl mix together pudding and milk until just combined. Working quickly (so the pudding does not get thick) fill molds and freeze. A small box of Jello instant pudding made 4 1/2 pudding pops. 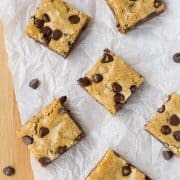 Chocolate Chip Blondies – Easy Recipe! I use tubes I found on Amazon. They’re 10 inches long with a zip top closure. So easy and my grandsons love them! Perfect! What a great idea – thanks for sharing! I’m so excited to make these!!! Thanks for the post. What size box of pudding did you use? It’s a 3.4 oz box. The smaller size. Thanks! 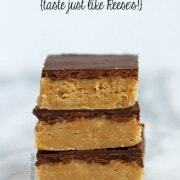 I got in touch with Brandy, who created this recipe–it is the 3.4 oz box. Thanks for pointing that out–the recipe has been updated. love these I the popsicle girl this Summer! These would be a big hit with my kids. Perfect for a hot summer’s day. If you don’t have the molds, you can use small paper or plastic cups and popsicle sticks. These are brilliant and perfect for a hot Summer day! Looks yummy! My friend has been making pudding pops with all sorts of concoctions in them. Her son is selling them in their front yard like a lemonade stand for 25 or 50 cents each. I’ll have to check out the rest of your site! Mmmm pudding pops are my favorite! How fun to make them yourself at home :) I’m loving your site by the way!! Thanks Kelly, love your site’s facelift too! do you remember the raspberry pudding pops? they were my FAVORITE! so good. So much better then the frozen store bought. They look delicious! I used to love pudding pops so these would definitely bring back some happy memories! Good times! I love pudding pops! I was always the weird kid who wanted the vanilla ones. But I would eat this tasty treat!!! These look great Brandy! 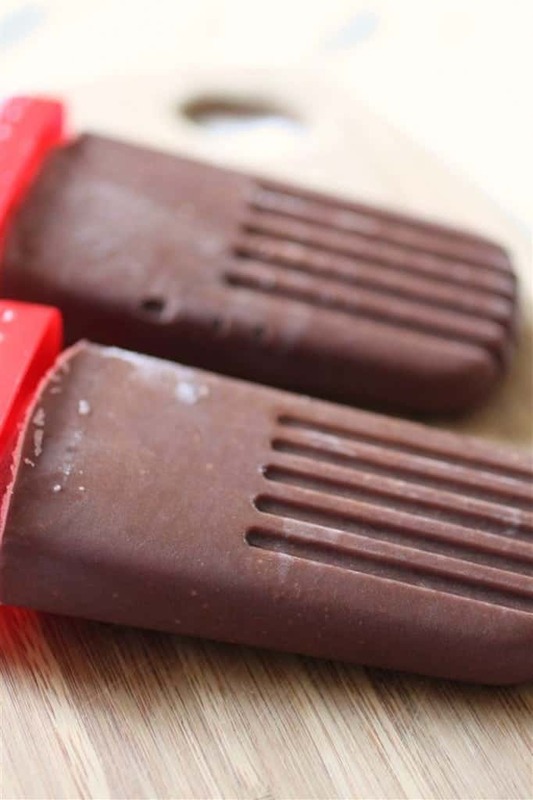 Just yesterday I copied down a fudgesicle recipe from a magazine, so I’ll be following suit soon! These sound amazing! 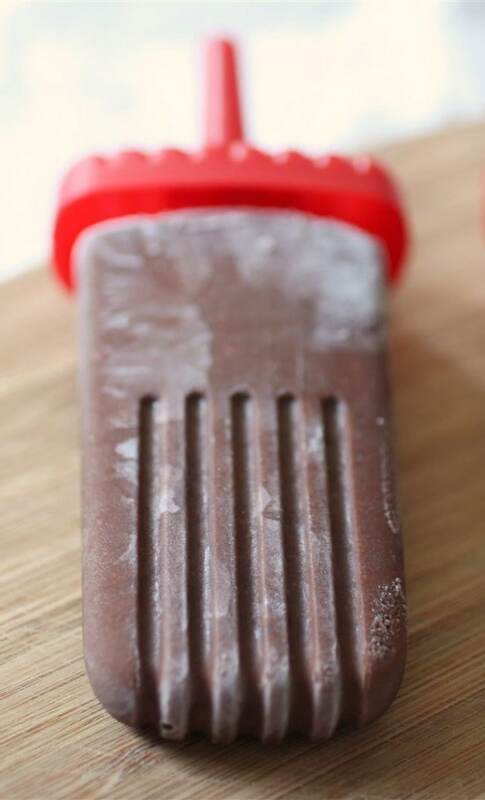 I need to buy a popsicle mold!